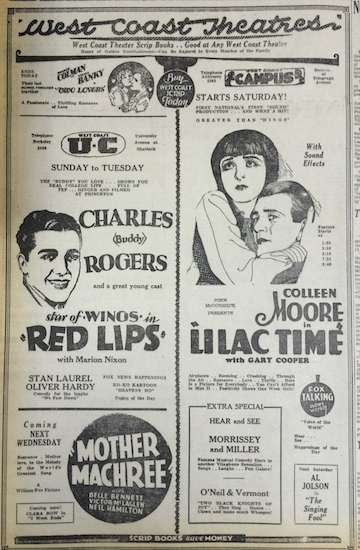 The Berkeley Courier reported on December 12, 1914, that “There are now ten motion picture theaters in Berkeley and there will be more. 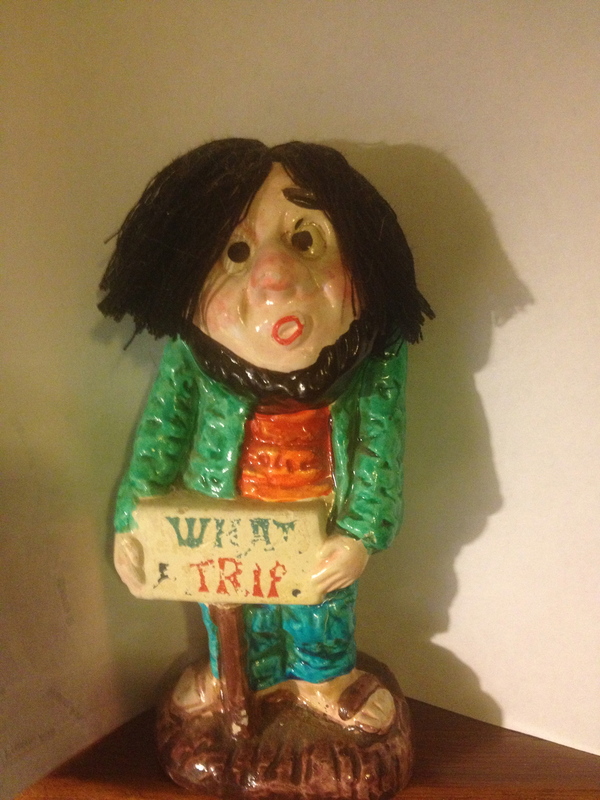 There are some people who yet sneer at the motion picture, but they are to be pitied.” Pitied indeed. 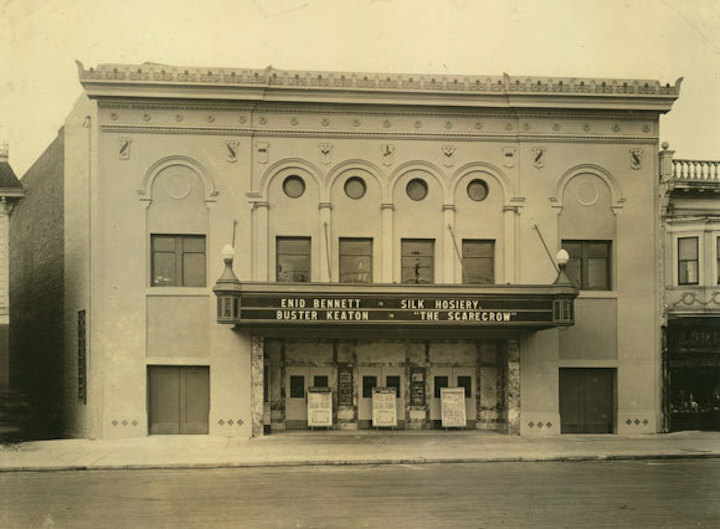 Strolling down memory lane, here are the photos I have found of movie theaters and movie theatres I had not heard of. They were gone before any of us could have known them. 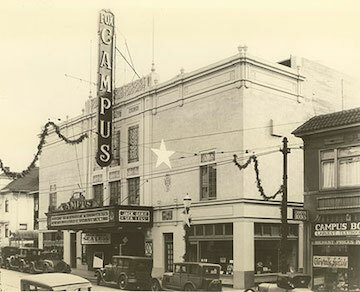 For historic photos of the two Campus Theaters, I draw from Daniella Thompson’s thorough and professional treatise for BAHA . 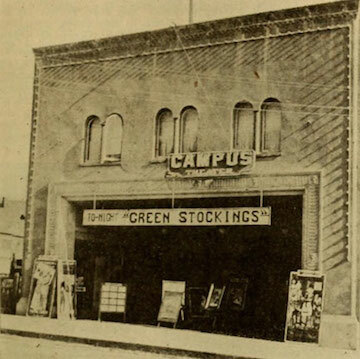 Once upon a time, the Campus Theater lived at 2440 Bancroft. 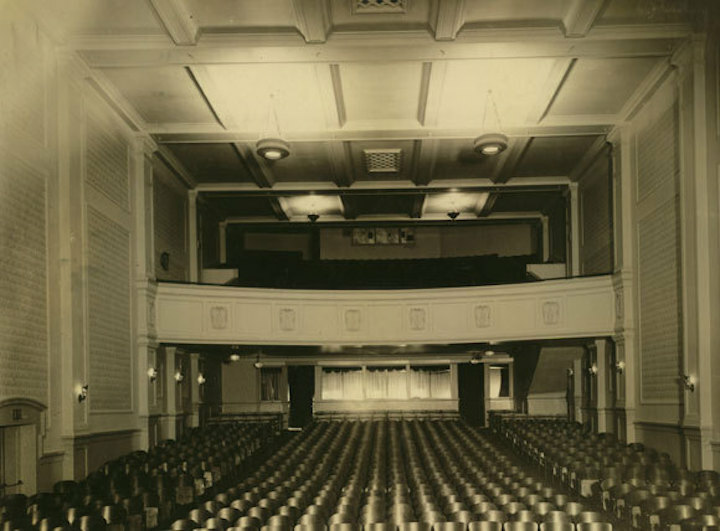 Thompson writes: “Within, the luxurious cinema featured a large stage, frescoes, a “Mighty Wurlitzer” organ, and “deep opera chairs” for 1,400 patrons, arranged stadium-style.” Would you not love to see that? 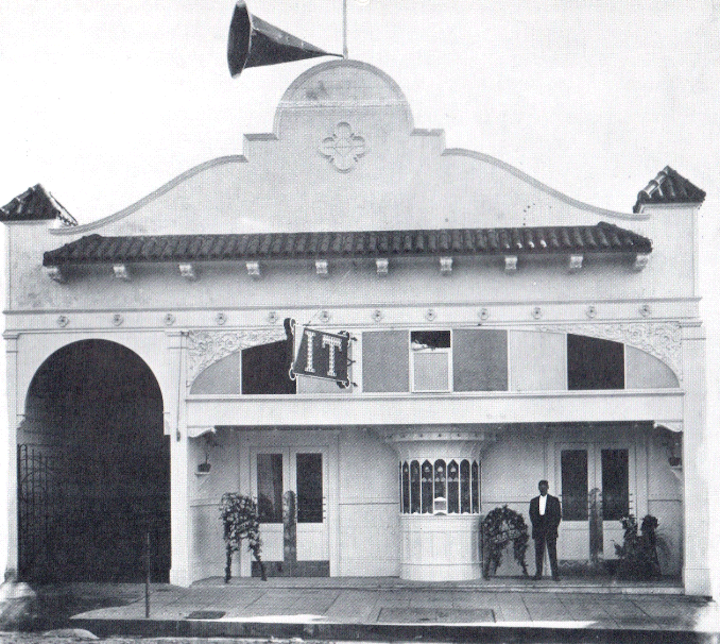 In 1927,the theater was resurrected as a Fox theater. 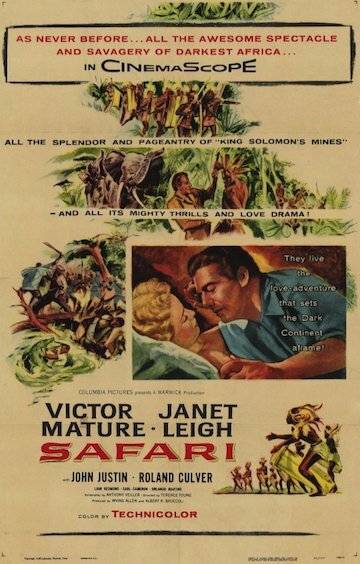 It stumbled along until 1958. The renovations left no hint of the grandeur that it had been. 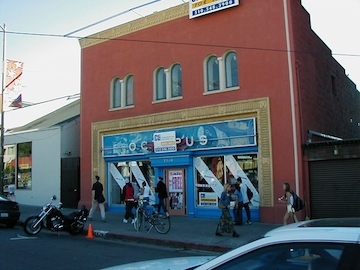 The building now houses the Cal Career Center and a few storefronts. But – wait. 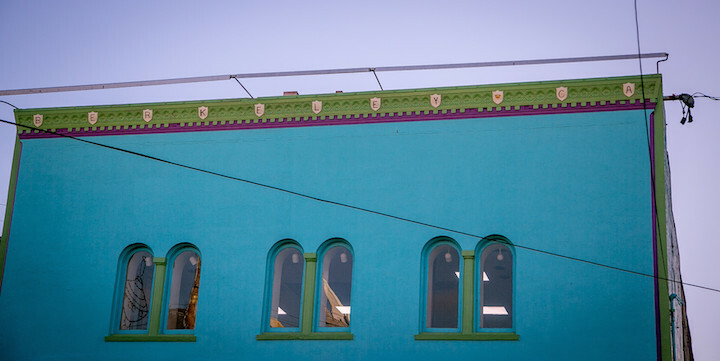 Anyone who thinks that there is no trace of the old theater doesn’t know Ted Friedman. 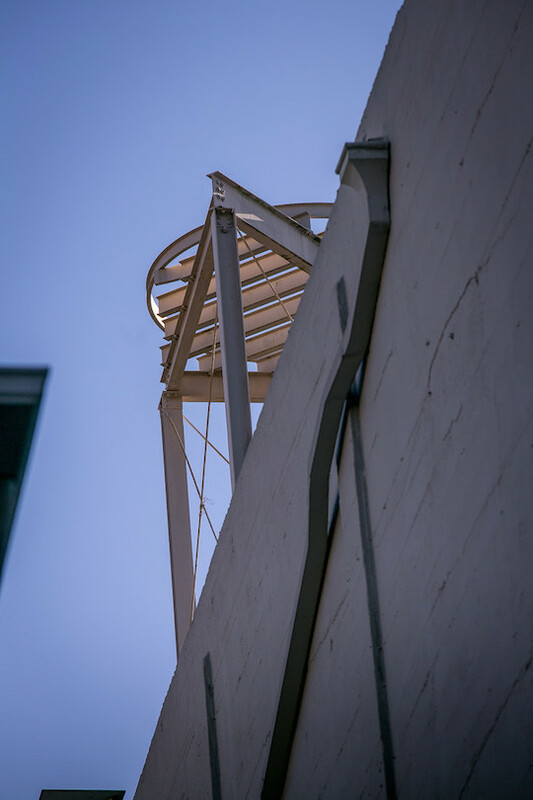 A longtime student of Telegraph Avenue, Friedman has “discovered” – noticed for the first time in a long time – evidence of the building’s theater past. 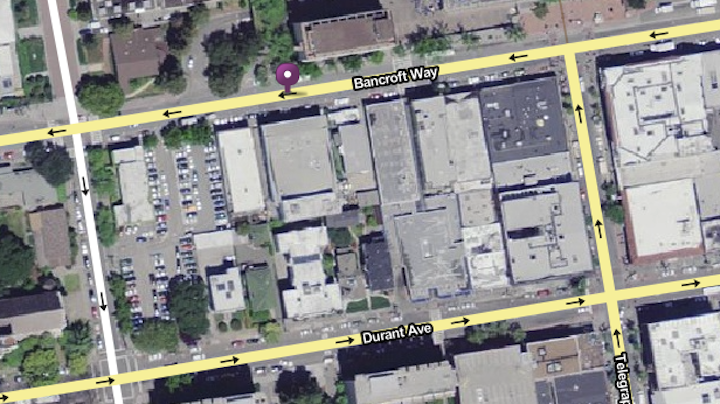 Look at this satellite photo of the building. 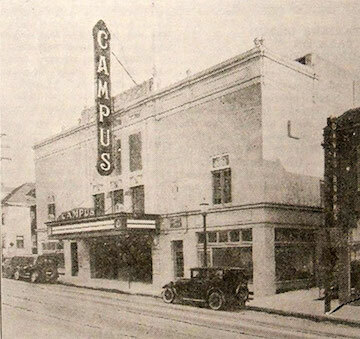 The other Campus Theatre, the original one, at 2510 Durant. It didn’t last five years. It was many things over the years. 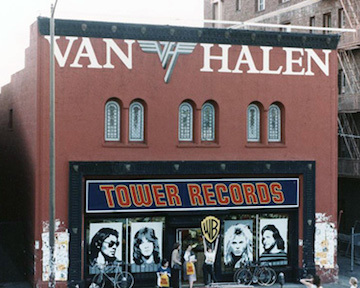 I first remember it as Tower Records. As in corporate competition for Leopold’s. 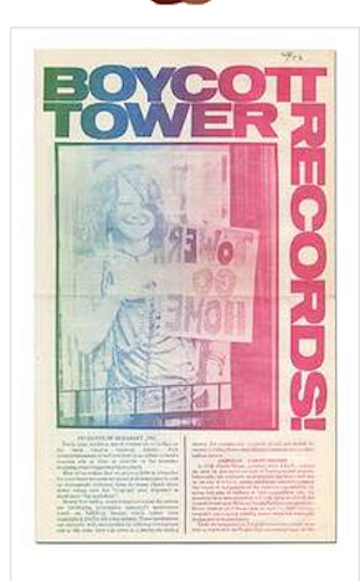 As in BOYCOTT TOWER! And then, other businesses. I bought my first VCR from Eid in 1985 when he had his store on Martin Luther King Way. A bunch of us from work put in a group order and got something of a discount. It was pretty exciting. 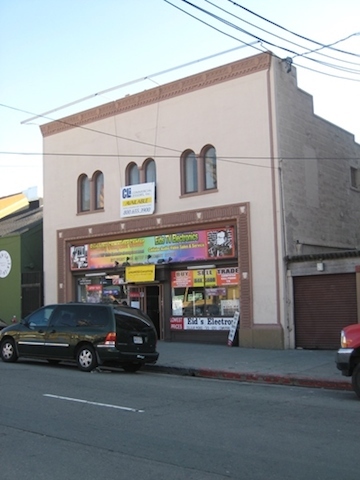 These photos show three different incarnations of the theater in the last decade. The interior? Tower tarted it up. 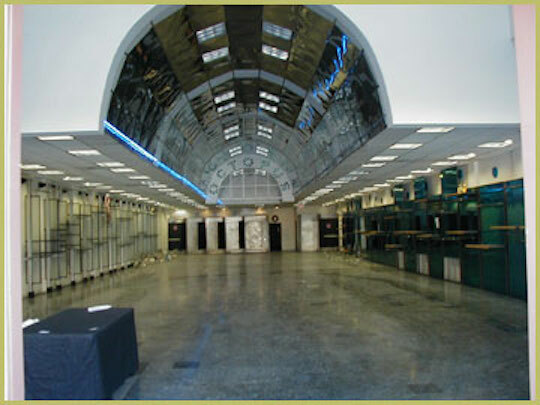 Here is the lobby stripped down several years ago. Today? 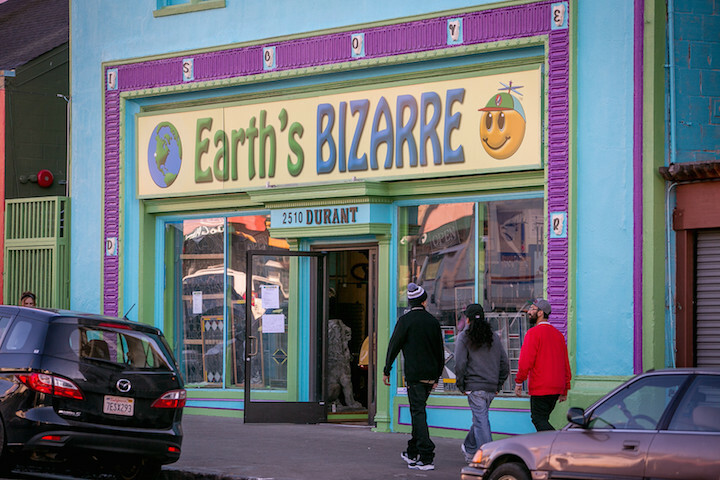 Holy molly – this is not just a storefront. 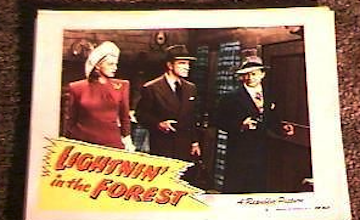 This does justice to a movie movie theater heritage. 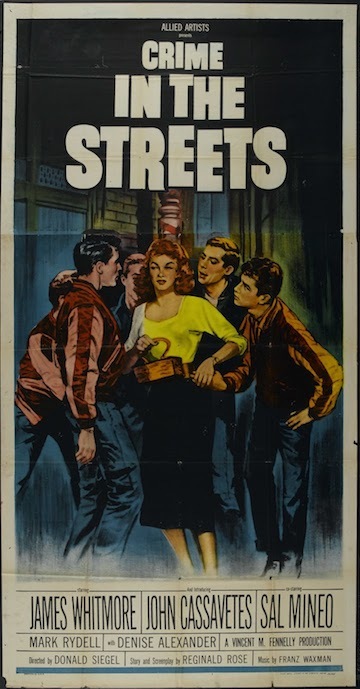 Moving away from the Telegraph-adjacent Campus Theaters, let’s head west. 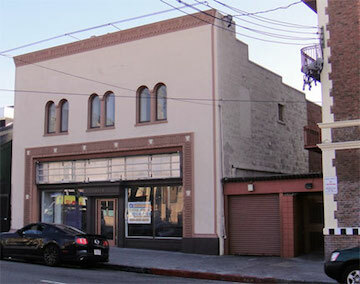 The Lorin Theatre at 3332 Adeline was built in 1914 by H.L. Beach and W.F. Krahn. Its interior was remodeled in 1920 by James Plachek. 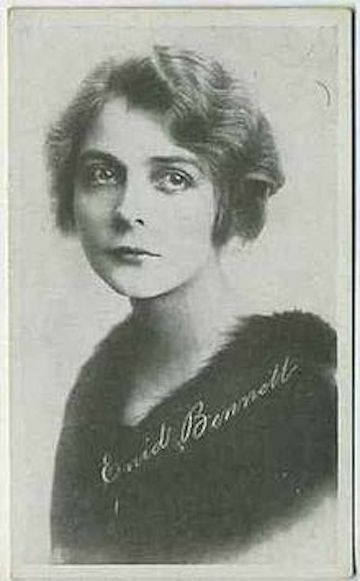 The photo above was taken in 1920, judging by the movies advertised. 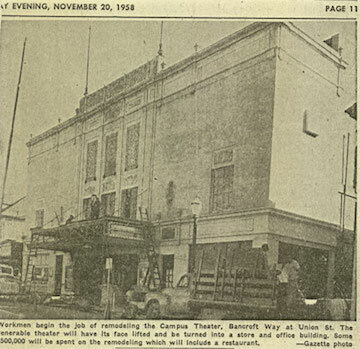 It closed as a theater in 1954. 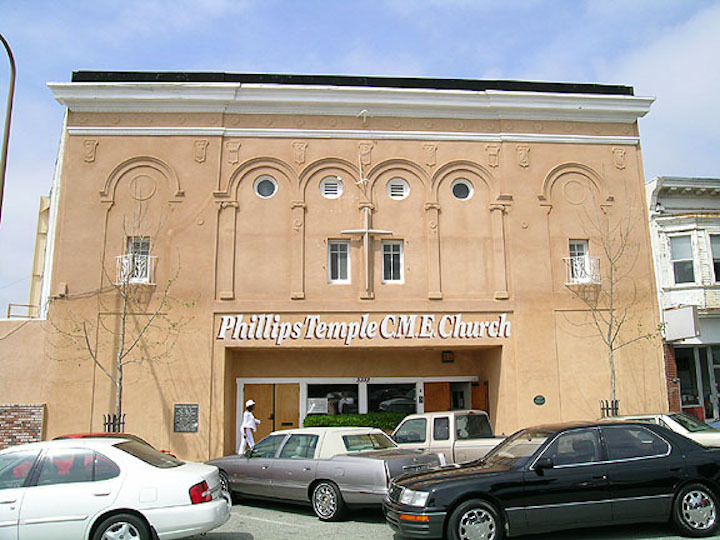 The facade remains, fitting to a Christian Methodist Episcopalian church. 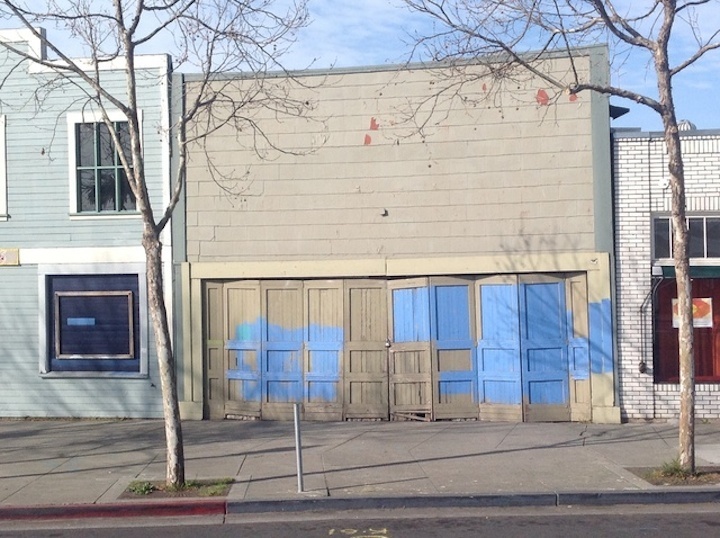 The IT Theater shared space with Haws Plumbing at 1809 Harmon Street. It was opened in 1909. That is, I am afraid, the extent of my knowledge about it at this particular moment in time. 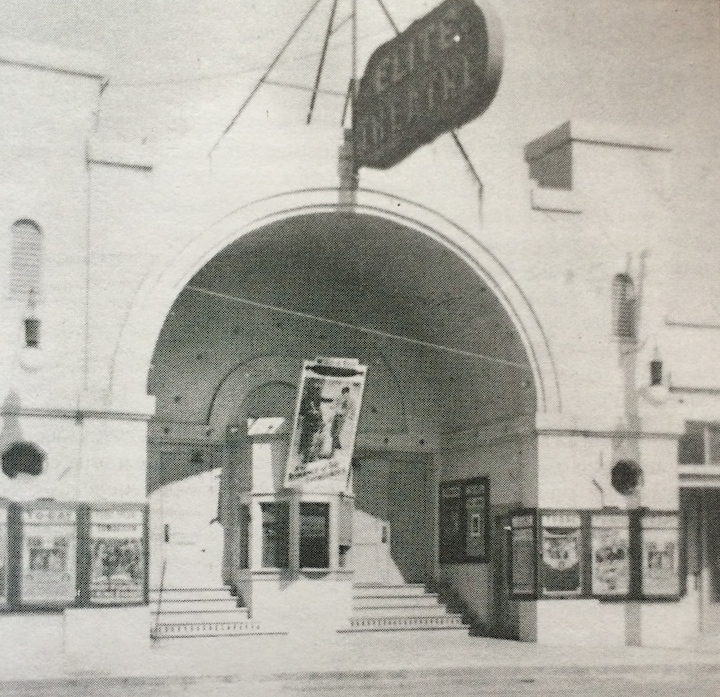 The Elite Theatre – what a great name! – was at 1507 Shattuck. It is just south of Vine on Shattuck. 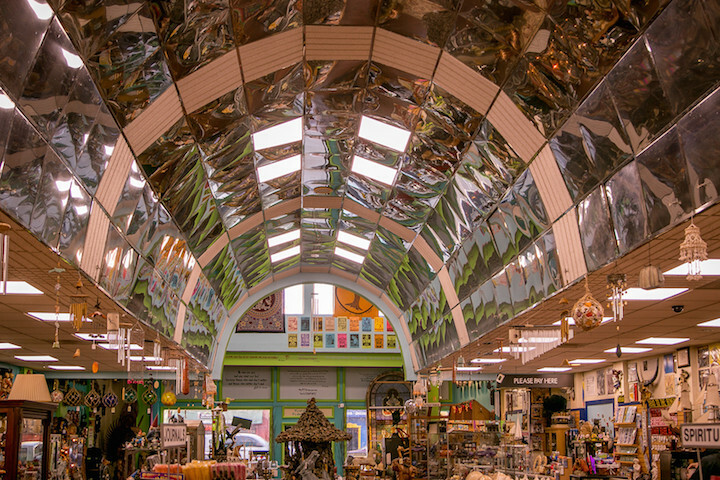 It was designed by John Galen Howard. And is completely gone. That’s it. Here are the theaters/theatres that I know were there but which remain photographless at the moment. 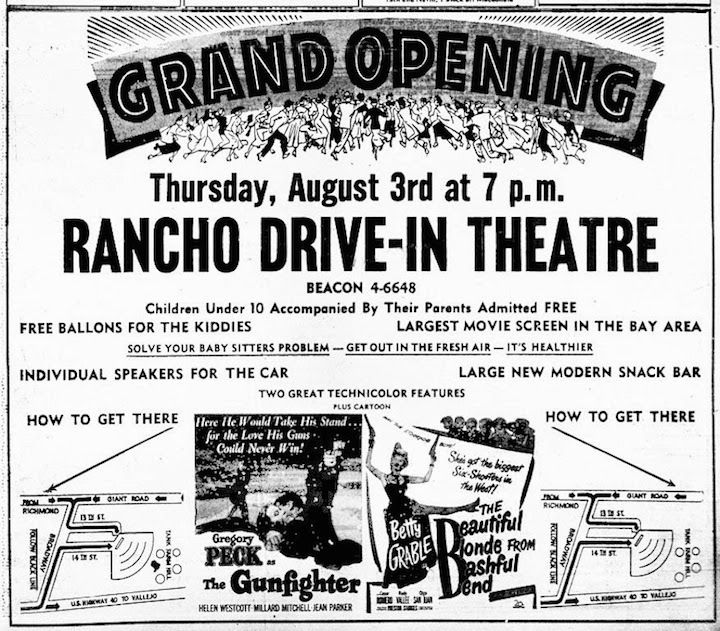 “The drive-in in El Cerrito. It’s where El Cerrito Plaza is now.” There was a casino there and a dog track. During the war, there was a trailer park for Kaiser Shipyard workers. Then a few years after the war they opened the drive-in. 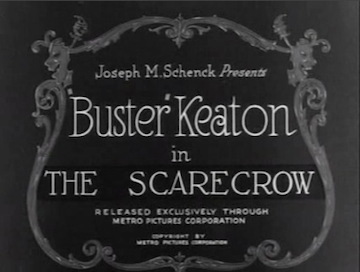 It was the first drive-in theater in the Bay Area. 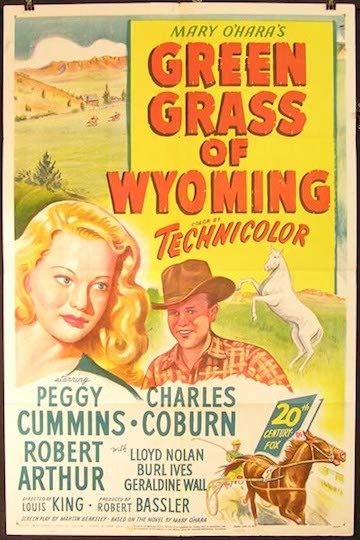 It opened on October 11, 1948 with “Green Grass of Wyoming” and “Lightning in the Forest”. 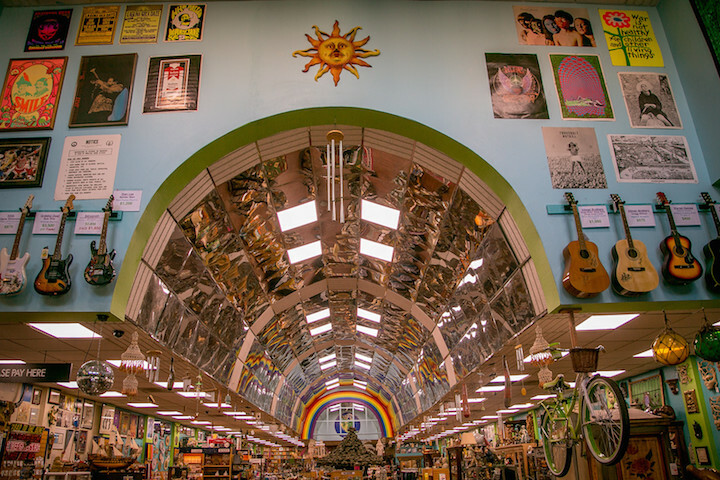 It closed in mid 1950s – exact date of death not presently known. I have seen the date of 1958, but no proof. 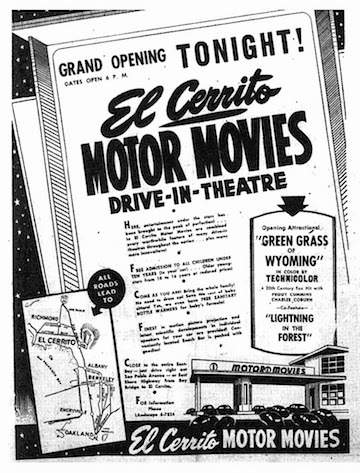 El Cerrito Motor Movies was still open on September 26, 1956; the Oakland Tribune for that date had it running Safari and Crime in the Streets. That got us off into a discussion about drive-ins. We agreed that it was something approaching a tragedy that today’s young people will not know the joy of a drive-in movie theater. He made us tea and I reminisced about taking Julia to the down-and-out El Cerrito Plaza for driving lessons in 2000, about it being rebuilt and expanded and not optimal when Rosalie learned to drive in 2011, and about Charlotte and her soccer team walking there for lunch during soccer camp at El Cerrito High last summer. 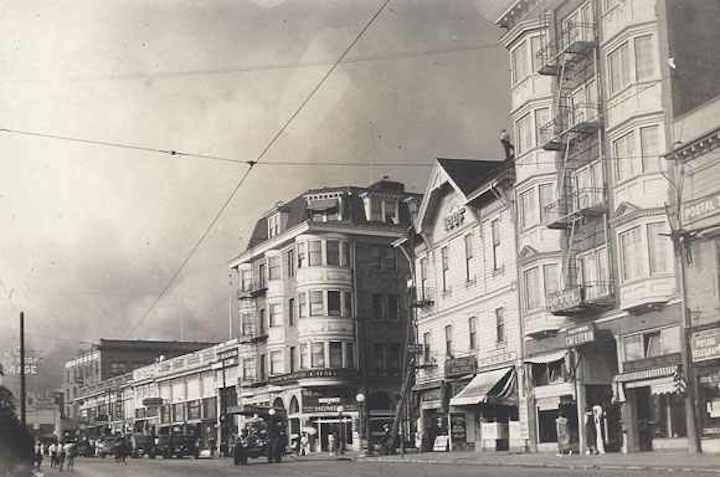 The El Cerrito Plaza and my family have history. 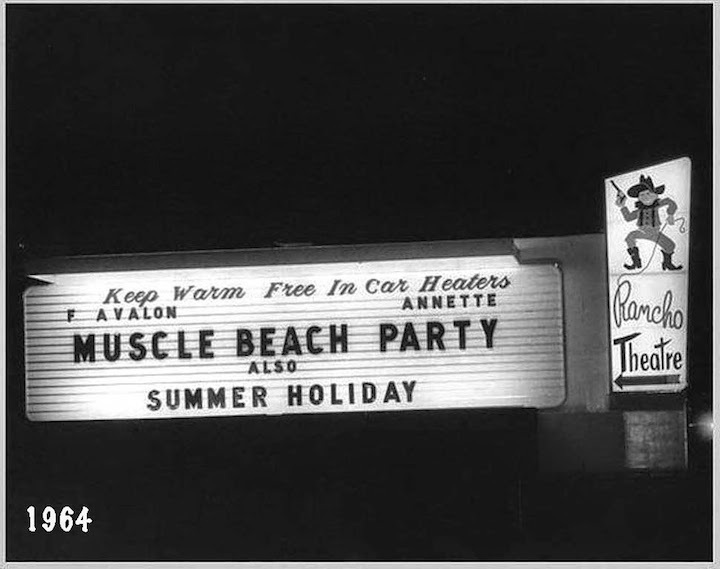 He had done a little research and pulled out photos of a couple other nearby drive-ins. 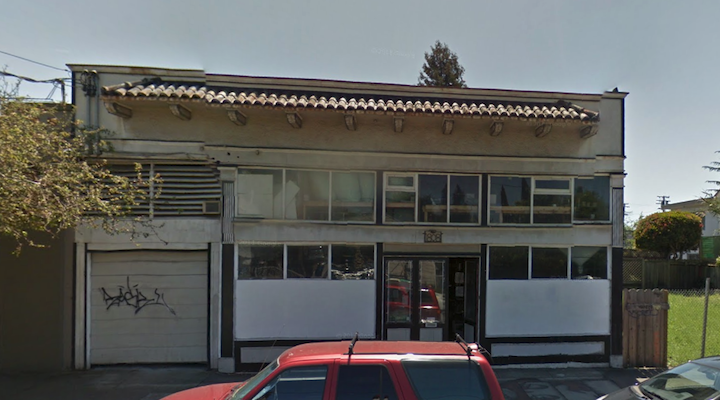 The El Rancho at 1220 Connecticut Avenue, San Pablo, was open form 1950 until 1978. 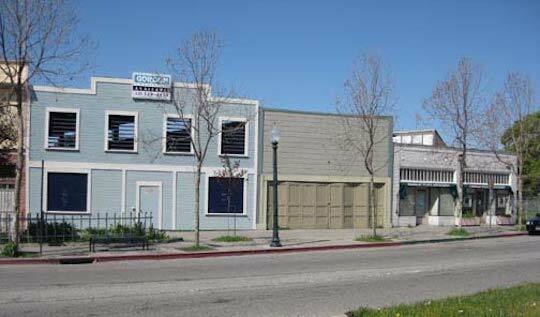 The San Pablo city council considered it a den of illicit activities and tried for several years to force it to close. They won. 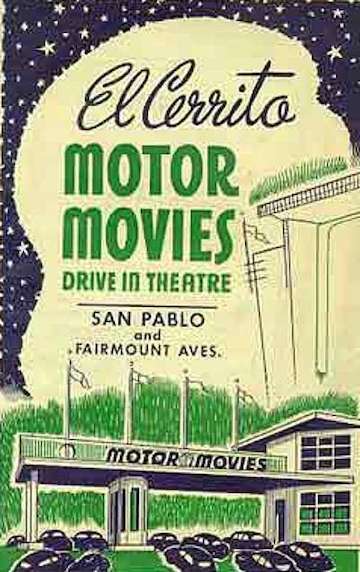 San Pablo Auto Movie at 13224 San Pablo Avenue in Richmond was open from 1953 until 1964. 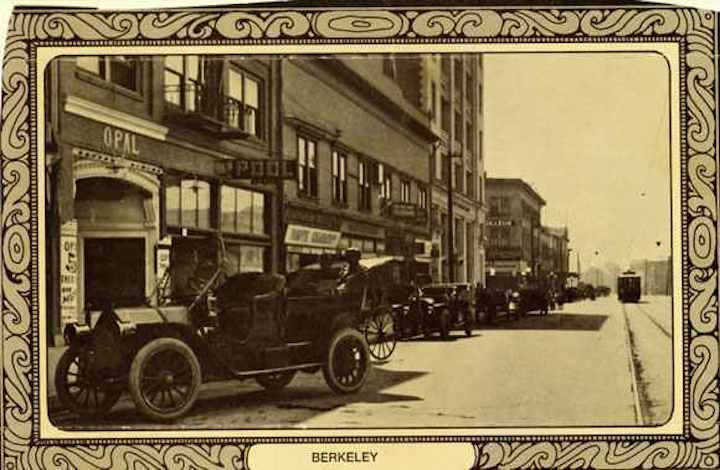 All of these images are from a wonderful website, the Lost Movie Theatres of Richmond. To his own native shore. And the grandeur that was Rome. can be seen inside. 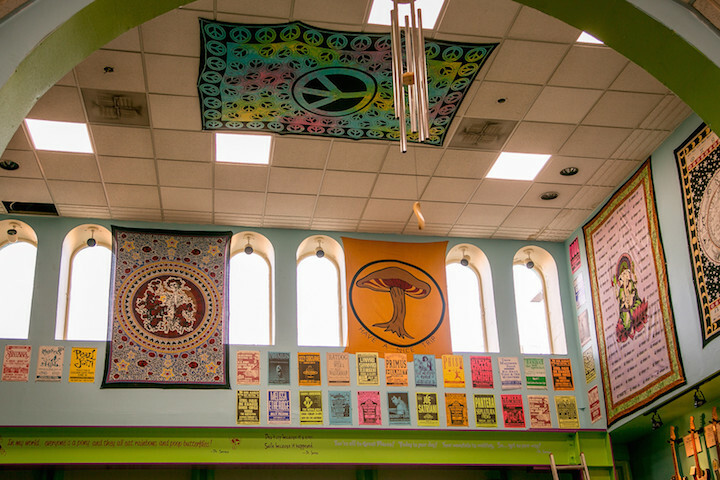 I was born and raised in Berkeley and went to many Saturday Matinees there . I live in Ruskin, Florida now and the only theater we have in town is a drive-in.